No. 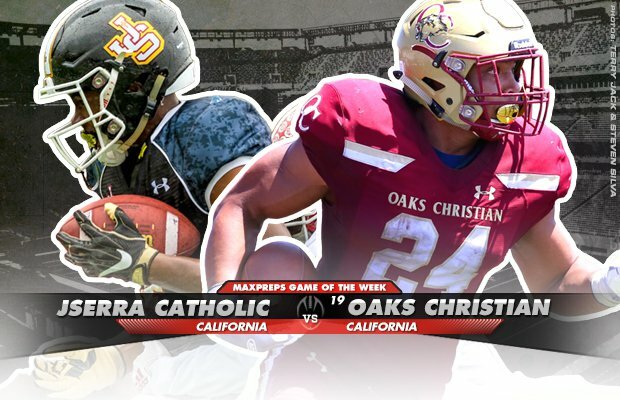 19 Oaks Christian takes on JSerra Catholic and a huge Texas rivalry lead this week's slate. Nine of the 10 games this week are win-or-go-home playoff matchups. The playoffs are there in every state except Texas and nine of our Top 10 Games of the Week are win-or-go-home contests. Sticking in the Golden State, No. 12 De La Salle (Concord, Calif.) takes on Pittsburg (Calif.) in the CIF North Coast Section Open Division semifinal and Upland (Calif.) takes on Norco (Calif.) in a huge Southern Section Division II quarterfinal meeting. The Ohio Division I field is loaded and one of the weekend's biggest contests features Mentor and Canton McKinley. The WCAC Final Four gets cracking Friday with a showdown between No. 25 DeMatha (Hyattsville, Md.)) and Our Lady of Good Counsel (Olney, Md.). The two met three weeks ago and the Stags rolled to a 32-2 win. In the other WCAC semi, No. 3 St. John's (Washington, D.C.) hosts fellow District resident Gonzaga. The game is a rematch of last week and the Cadets extended their win streak to 16 with a 34-17 victory. Bingham (South Jordan, Utah) is two wins from its third straight state title in the Beehive State's largest classification. The Miners have to get past a very good American Fork (Utah) team in order to keep the three-peat dreams alive. Chandler (Ariz.), the No. 20 team, also is on a quest for a third straight state title and are favorites to win the 6A bracket but must get past Mountain Pointe (Phoenix) on Friday with a spot in the semifinals awaiting the winner. The only non-playoff game featured this week is a Texas-sized rivalry with the district title on the line as DeSoto (Texas) meets Cedar Hill (Texas.). *Game rescheduled for Saturday night because of the wildfires. There's a very good chance the Battle of the Lions will be the best game of the weekend. 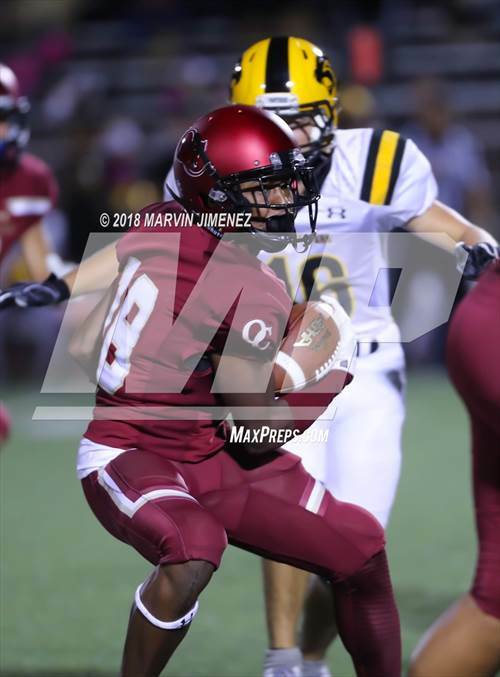 Oaks Christian has rolled to an 11-0 record, while JSerra Catholic's only two losses are against two Top 5 teams — St. John Bosco and Mater Dei. 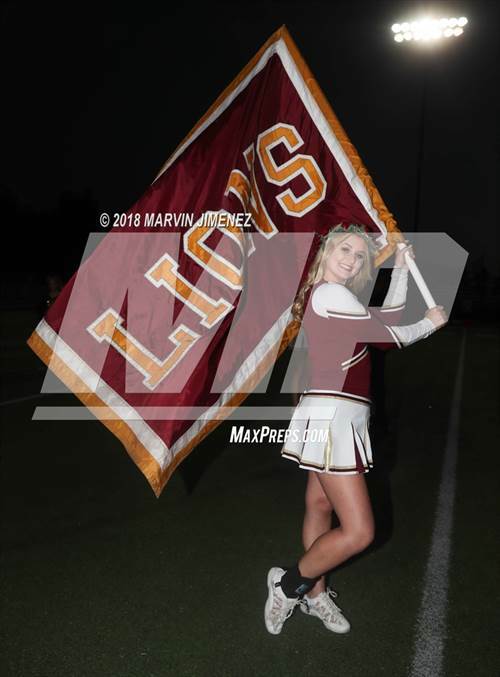 This will be Oaks Christian's biggest test of the season and things don't get any easier for the winner as they'll likely face the No. 1 team in the country in the semifinals, St. John Bosco. You can throw away the records anytime these two lock horns but that won't be the case this Thursday because the winner clinches at least a share of the 6A Region-I District 7 title. Both teams come in with identical 8-1 records. This will be the 15th meeting between the two Texas powers since 2004 and DeSoto has won eight of the previous 14, including three in a row. This is the seventh meeting since 2004 between the two SoCal powers with the previous six games split. The Monarchs have won the last two and both came in the playoffs, including a 49-21 win in 2017 en route to finishing the year as the No. 1 team in high school football. This winner advances to the CIF Southern Section Division I semifinals and awaits the winner of No. 8 Corona Centennial vs. Rancho Cucamonga. This will be the second meeting between the two in 2018 and Bingham nearly blew a 21-10 fourth quarter lead but a late Peyton Jones touchdown in the final 30 seconds gave the Miners a 28-24 win. The Miners have won all eight matchups against American Fork since 2006. The Utah power is two wins away from winning their third consecutive state title in the state's largest classification. Chandler has been the kings of Arizona for the past three years. The Wolves are going for their third straight 6A state title and Conover is a perfect 9-0 as the starting quarterback in the playoffs. He has thrown for 2,500-plus yards and 33 touchdowns in his postseason career. This will be the 10th meeting between the Wolves and Pride since 2004. Mountain Pointe has won five of the previous nine, but Chandler has won both playoff matchups including a 36-17 win in the 2016 6A state championship game. The WCAC postseason is one of the toughest brackets to win as it features the four best teams in the DMV area. No. 3 St. John's is one of the few teams who has a legit shot at finishing the year as the No. 1 team in the nation, but Cadets have to get by a good Gonzaga team first. These two played last week and St. John's rolled to a 34-17 win, but it's always tough to beat a team in back-to-back weeks. St. John's won its first conference championship since 1989 last year and is two wins away from repeating. Expect the second meeting between these two to be a lot closer. DeMatha forced five turnovers and scored two defensive touchdowns as they cruised to a 30-point victory three weeks ago. The winner of this one takes on the winner of St. John's/Gonzaga for the WCAC championship next weekend. This will be the 22nd meeting between the two Maryland powers and DeMatha has won 12 of the previous 21 including six of the last seven matchups. 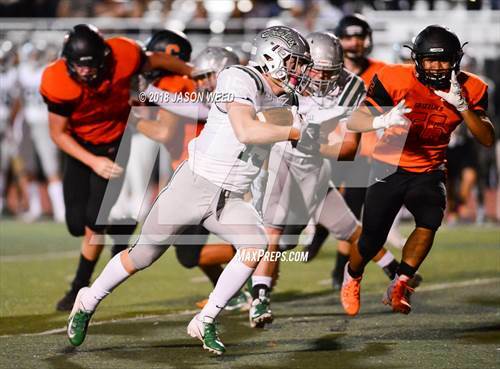 Saying De La Salle has dominated football in Northern California would be an understatement. The Spartans haven't lost a game against a NorCal opponent since 1991. That loss came against the same school they face Friday in the North Coast Section Open Division semifinal. The Spartans enter this weekend as huge favorites and would represent Northern California in the CIF Open Division state championship on Dec. 8 with two more wins. Canton McKinley got its first playoff victory since 2012 in the first round and looks to ride that momentum against the top seed in its region. Mentor's lone loss this year came against the team McKinley just beat — Solon. The Cardinals have been one of the top teams in Ohio all year and have a good chance to make it back to the Ohio Division-I state championship game for the second consecutive season. The CIF Southern Section Division II bracket is one of the most competitive in high school football. All eight teams left have a legit chance to win it all. 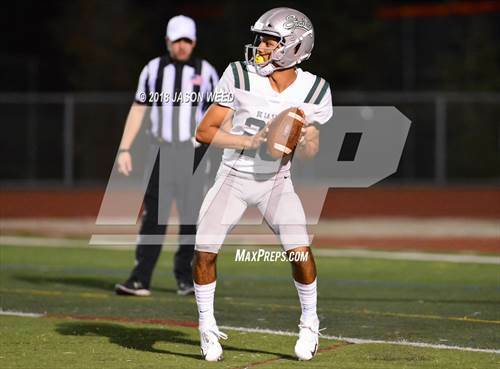 Upland's Justin Flowe is the top-rated prospect in California from the Class of 2020 and is the No. 4 recruit overall. Cameron and Taj Davis are both 2019 Washington commits and are two of the best playmakers in Southern California. Norco's combination of Illingworth and Navarrette is one of the most dynamic duos in SoCal. They are both rated in the Top 200 overall from the Class of 2020.